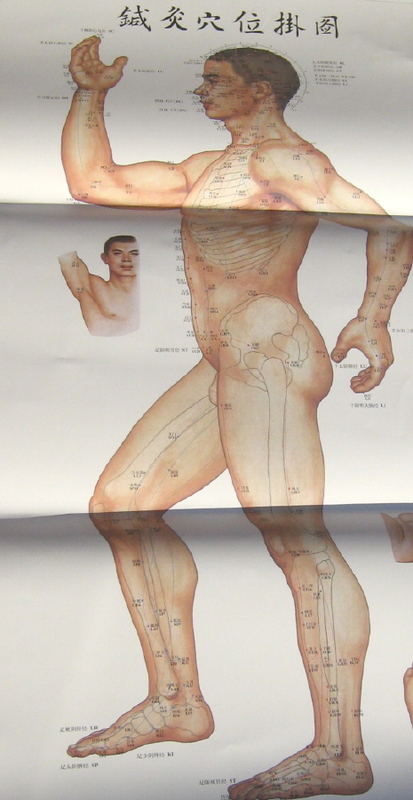 Set of 3 acupuncture charts. Acupuncture points labeled in Chinese and English. Brochure in Chinese. Size: 20 x 38 inches. Charts are folded during shipping, may need to smooth them before hanging.